A few nights ago I was in Singapore doing a dream meeting with about 25 people. There were quite a few interesting dreams as there always are, but one thing that really caught a great deal of interest for me was that of dreaming about catastrophes. In the particular dream, the dreamer said that he dreamt that something extremely terrible was going to happen, that he was frozen in his response to it, and that he rarely remembered many dreams. When you do dream work, it is always solution oriented. This is a bit different than when you go to a therapist’s office and get dream analysis based upon the the therapist’s interpretation of the symbols. The symbolic work is pretty straight forward. It just requires having a pretty lengthy knowledge of analogies. 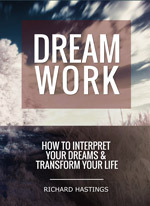 The purpose of dream work, while it includes analysis, does not stop there. The important thing that people want to know is how to transform the dream into useful energy that they can then do something positive with. Catastrophes always provoke fear. The mistake that most people make is that they believe that catastrophes are about the future, that they somehow come out of the future, but really catastrophic thinking is always related to the past, not the future. When I was living in Minot, North Dakota, our house was situated in the flood plain of the Souris River. Because of the rains one year and the rate of the melting snow, there was a big threat of a flood. What I noticed was that all of the people who had lived through the previous flood in the city were terrified, but those of us who had not experienced the flood didn’t have the same kind of fear. We were concerned and we could get into the required action, but the people who had been through the previous flood were truly frightened. Catastrophic dreams happen to people who have lived through something terrible. The purpose of the catastrophic dreams is to help them remember what happened in the past so that they can apply solutions that will prevent the negative things from happening in the future. What normally happens after a catastrophe like World War 2 is that the mind tries to shut down the memory so that people can forget the horrors and then get back to some kind of equilibrium. This is such a universal process that it seems as though everyone uses this pattern. What is interesting about the dream world is that it never forgets. The ego mind tries to forget the horrors of the past catastrophes whether it be abuse, excessive criticism, war, or natural disasters, but the spirit world remembers and at the propitious time, reminds us of the really bad stuff. It does not do this out of a sick sense of cruelty, but out of compassion and mercy. We forget, while the spiritual world remembers. We forget bad things because it is just too painful to go back to the memories, but they always come back in either the dream world or in real life. Real life catastrophes repeat themselves only because we do not singularly or collectively learn the solutions to the last catastrophe. The dreamer gave us the universal pattern of most of humankind. We live through a disaster, then we fear the next one, so our minds shut down and start forgetting. This gives us the feeling of normalcy at least for a little while, but it also keeps us frozen in a changeless world where the conditions that created the first disaster remain ripe for the next one. As most therapists know, it is tricky work to take a person back into their worst nightmares, their worst fears. Unless it is going to be replaced by something much better than what currently exists, the fearful mind will always resist addressing the fear and instead seek to remain the same. Even if the threat is recognized, the response will be to fight the negative force again so that things can go back to the status quo. The work is not about fighting the fearful force. 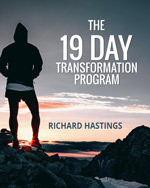 To get to a transformed state you first have to have another much more powerful positive energy that acts like a lure. In a catastrophic dream you always have an evil force trying to wipe out what currently exists because this is what happens in a stagnant world. When people are reluctant to transform by resisting change and trying to remain in their level of comfort and ease, then the catastrophe happens. So the fear in the dream is that something bad is going to happen. The solution to the dream is to be able to create an amazing vision of much better world and then to take steps to make the vision appear in the real world. The same catastrophe happens only because of forgetfulness. Forgetfulness is cause by a lack of belief in our dynamically positive powers. The dreams wants us to believe the opposite, that we have the inherent powers to have a dramatic impact on what happens around us in a positive way. What happens internally is that as soon as we can begin to let go of the fearful image by replacing it with an extremely positive one, then we get unfrozen, thawed. Then we start to act on the vision. As long as the vision is strong and positive our beings will automatically be drawn to it. The laws of change state that when you act positively it changes the future. Every time someone does a positive act it affects the future by making it more positive. When stagnation and non-action exist, the future gets more terrifying. It is a very simple formula for getting out of any rut you are in. Even when the worst conditions exist around you, the moment that you act positively toward a vision like helping your neighbors, the world and the future suddenly appear brighter. It is only when you are doing nothing toward changing the current reality or trying to maintain the way things are that the current reality gets frightening. When you act positively, you start to remember who you are truly and then that opens up even more positive possibilities. When we couch in our equilibrium, we forget ourselves and then the bad things happen. This post was written about 5 years ago, but it is just as applicable today. When you think of an apocalypse, make it personal rather than global because you can change your own personal apocalypse into something amazingly wonderful. You can land in paradise.